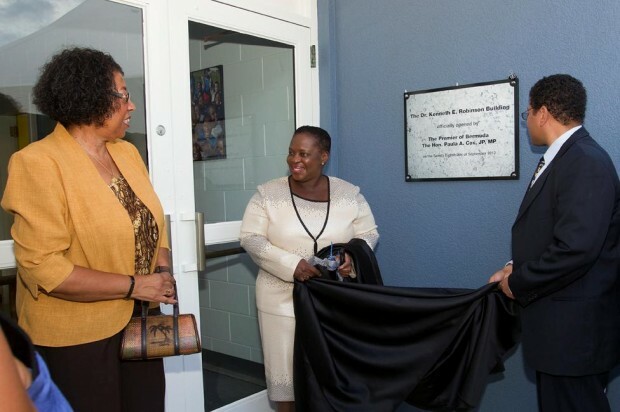 On Friday, September 28, the Ministry of Education’s Southside Headquarters was formally named after Bermuda’s first Chief Education Officer, Dr. Kenneth E. Robinson. 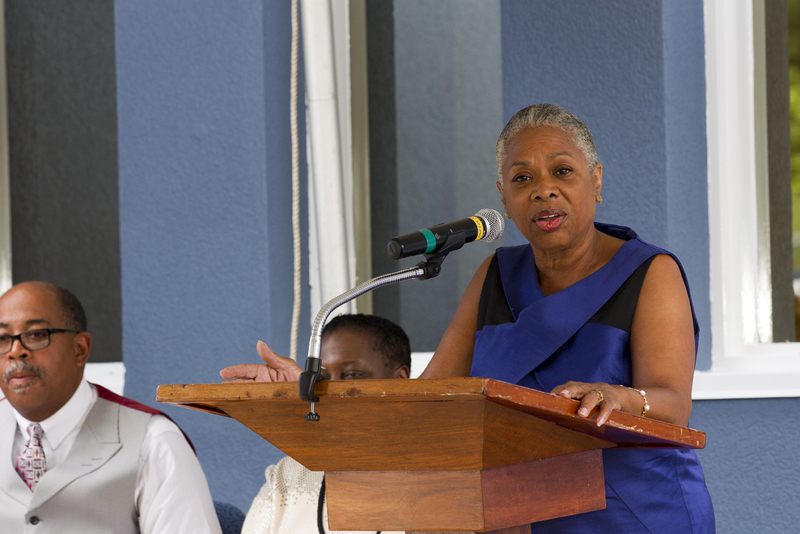 And in a special ceremony presided over by the Minister of Education Dame Jennifer Smith, educators, dignitaries and public school students were reminded of the important contributions made by not just Dr. Robinson, but by past Chief Education Officers, which include, J. Sinclair Richards, Dr. Mansfield Brock, Dr. Marion Robinson, Mr. Dean Maclaren Furbert and Dr. Joseph Christopher. Minister Smith explained that to honour their contributions, the new Ministry’s meeting rooms have been named after “these heroes of Bermuda’s education system”. Minister Smith said, “Today, we also dedicate our various meeting and training rooms in recognition of some prominent educators who have left their mark on the history of education in this Country. “When you read the biographies of our selected honourees – I think that you will realise how much they gave to education. We believe that it is important to show our appreciation for their efforts by sharing their story with all those who work, or visit, this facility. 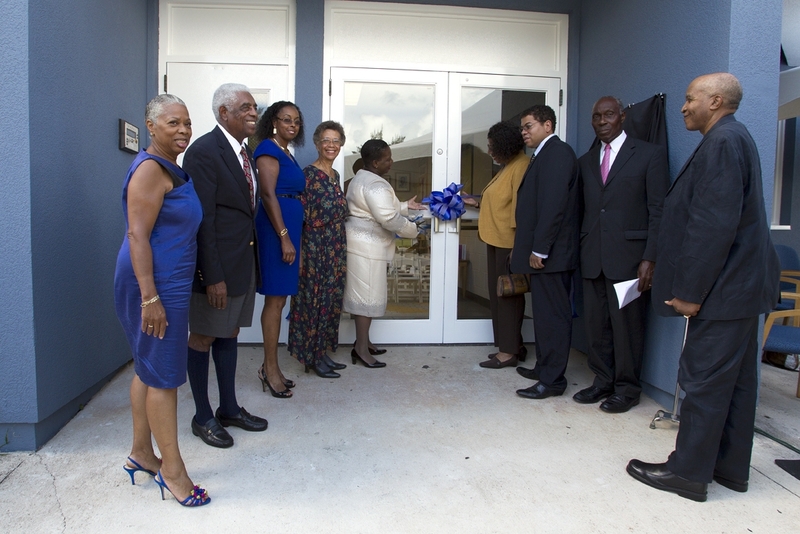 Premier Paula Cox, who formally opened the building with a ribbon cutting, said, “A couple of weeks ago I was in New York promoting Bermuda at the 2012 C3 Summit. “Bermuda is billed as a world class international financial centre. That requires a world class public education system. That is the business we are in. So today for me is a day to highlight the four Cs. “Collaboration – change is not easy but early action of the Education Minister meant she was able to consolidate the Ministry in one location. 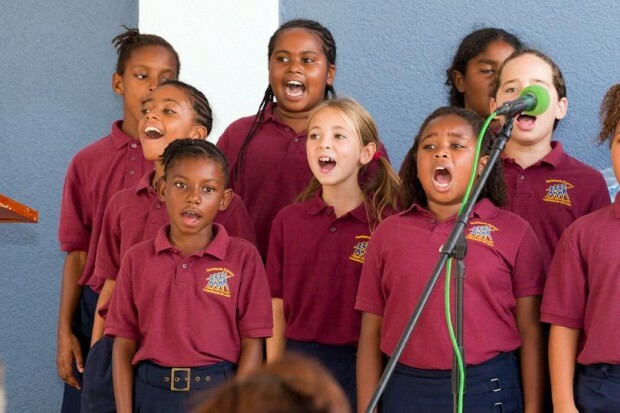 Community – because of the commitment to build a dynamic integrated education community. In 2010, Minister Smith announced that the education headquarters would be moving from its Hamilton location to Southside, St. David’s due to budgetary reasons. Minister Smith said, “They say “necessity is the mother of invention” and for us – the Budget cuts imposed in the 2011 Budget drove us to look for economies – in our case, economies of scale like one building versus three. “On August 25th, 2011, just over one year ago, the Permanent Secretary and I, along with the Commissioner of Education and our Administrative Assistants moved into this building – beginning a series of staff moves from our three locations in and around Hamilton to this one location.